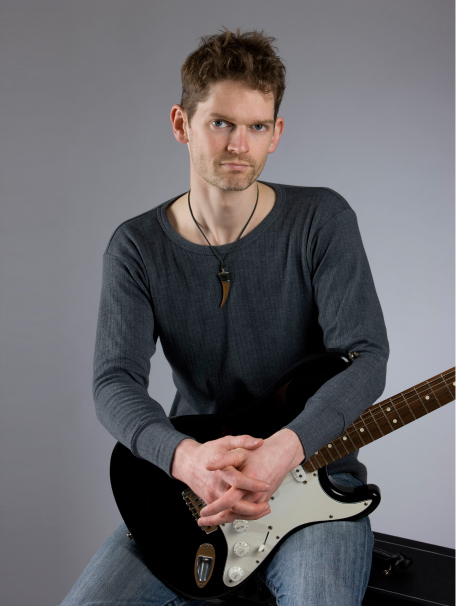 Stuart Bahn teaches guitar lessons at his home just 1.5 miles from Hanwell. He has been teaching guitar lessons professionally in the Hanwell area for 20 years and has taught many hundreds of aspiring guitarists. Getting to your guitar lesson from Hanwell is easy. There are good routes by car, by walking, or by bus. 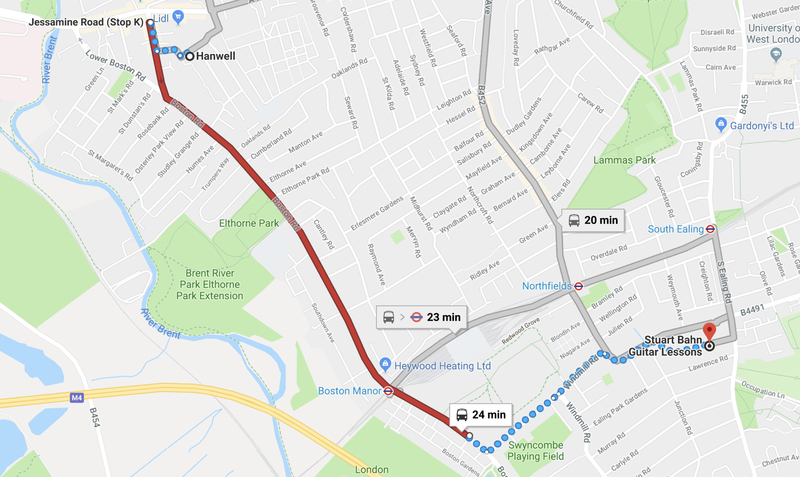 Travelling from Hanwell to your guitar lessons is just a few minute’s drive, via Boston Manor Road, Northfield Avenue or Uxbridge Road. 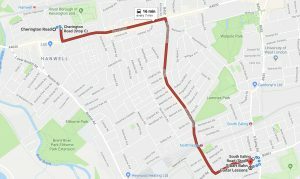 If using GPS, please use W5 4EP as your destination postcode. When you arrive for your guitar lesson, there will usually be plenty of parking on Chandos Avenue. The only parking restriction is between 3-4pm on weekdays. During this time you can park on South Road instead – see map below. To get to your guitar lessons from Hanwell by bustle most direction option is the E3 bus. 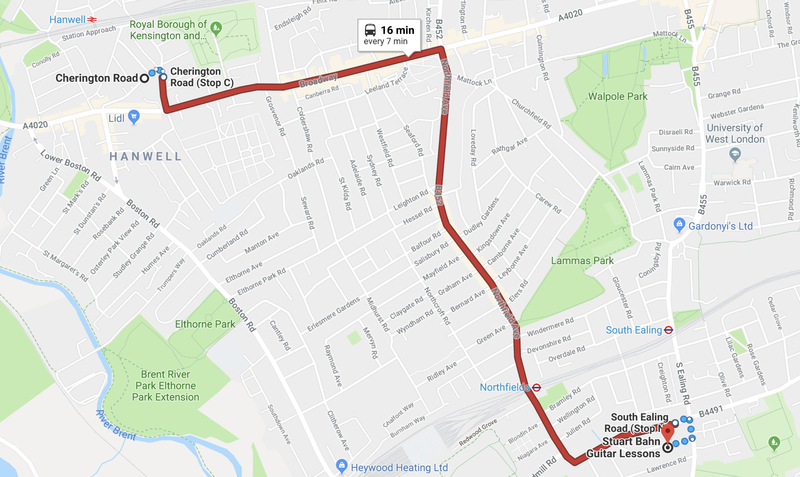 You can catch the E3 from Cherington Road, Hanwell. 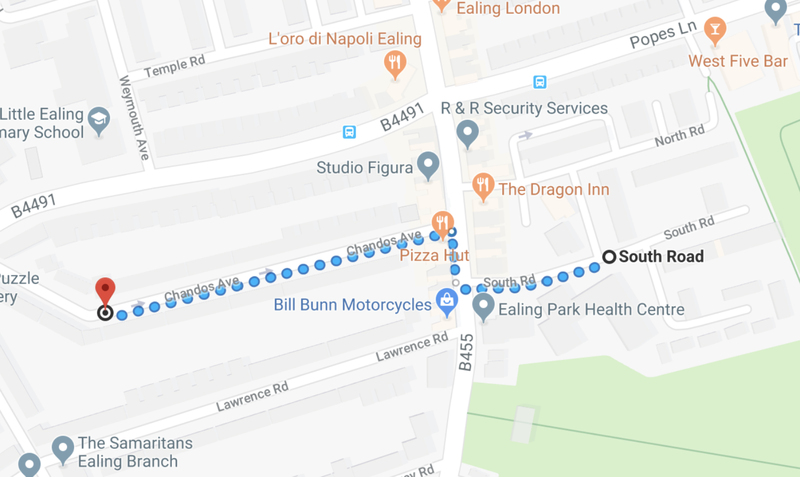 You’ll need to get off at stop N on South Ealing Road. From there it’s just a short walk to your guitar lesson. 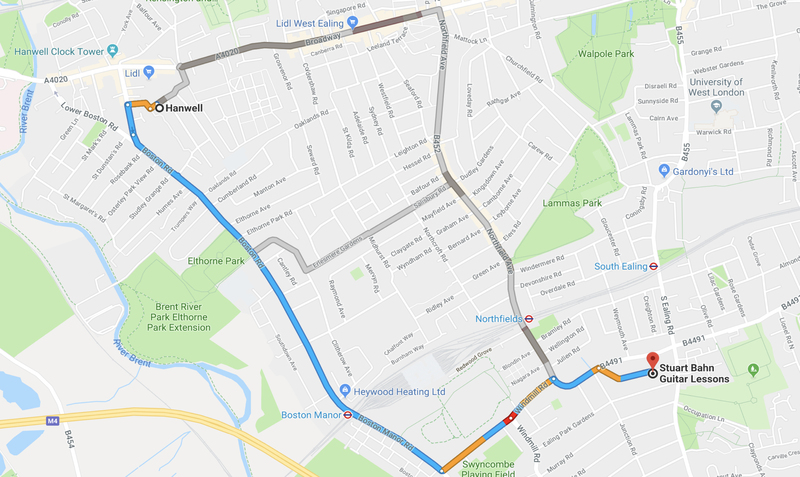 Alternatively you can take the 195 from Hanwell to your guitar lesson. The 195 goes down Boston Manor Road. 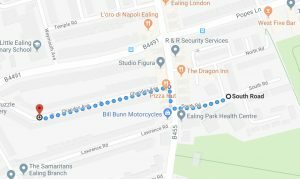 You’ll need to get off just after Boston Manor tube station. 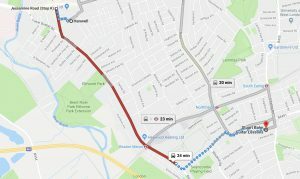 From there it’s about a 10-minute walk to Chandos Avenue.